Kitchen Stickers - illustration of two kitchen shelves with various features. 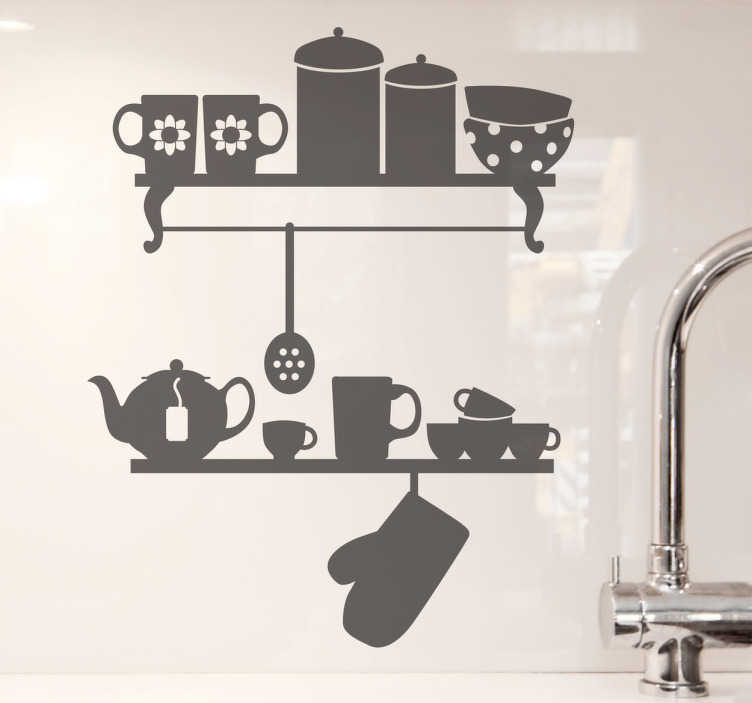 Elegant and quirky decals to add some character to your kitchen or cooking area. This kitchen shelves wall decal is ideal for the wall of your kitchen. It illustrates two kitchen shelves along with a whole host of other features. Made of high-quality vinyl, this adhesive can add a classy touch to your kitchen. This vinyl adhesive is available in a multitude of sizes and colours so that you can personalise your kitchen. Made of high-quality vinyl, it is easy to apply and leaves no air bubbles. Buy this wall mural for your kitchen and bid farewell to those empty kitchen walls. Sounds interesting, right?